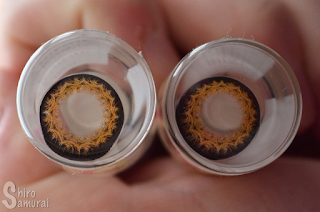 This time it's the Georgiae ML3 Brown from TheDollyEye! This pair was sponsored by the lovely LensVillage – I really recommend their store! Check it out! o/ Oh, and if you want to read more about them then check out what I wrote on this review! 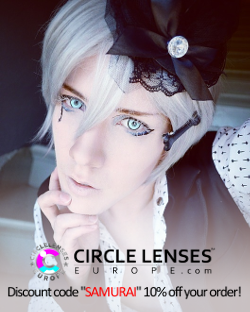 Psst, even though this pair of lenses was sponsored my reviews are always 100% my honest opinion, I promise. 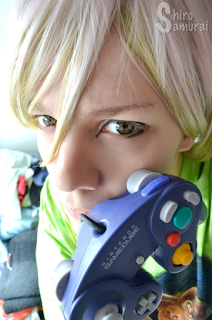 You can use my discount code "10SHIRO" to get 10% OFF on your purchase from LensVillage! ;) Limited time only! Last day is 30th May 2015!! 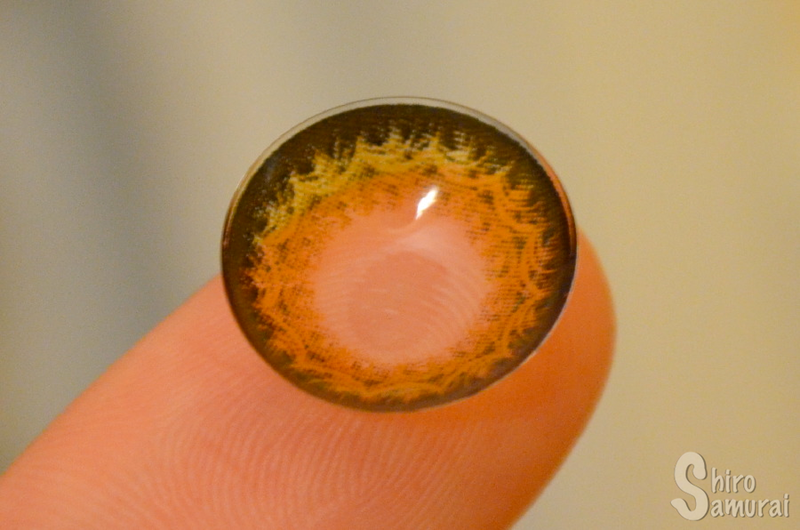 The lenses have this kind of brown shade that borders on an orange caramel-ish color. It's rather cool! 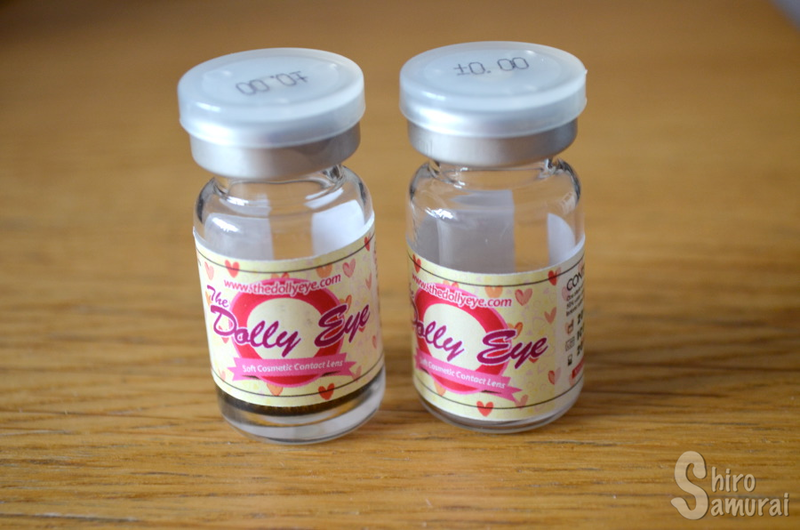 It was really hard to get them to photograph right so I took several photos of the lenses in the bottles, so that you get an idea of what they look like. The lens on the left shows the "wrong side". By the way, these lenses are one of those that are easy to tell which side is right side and which side is "wrong" side! The "wrong" side is notably lighter and looks more washed out than the right side. One lens in. This is to show enlargement effect. My natural eye color is a blue-gray (more blue though) with a hint of green, depending on the light. 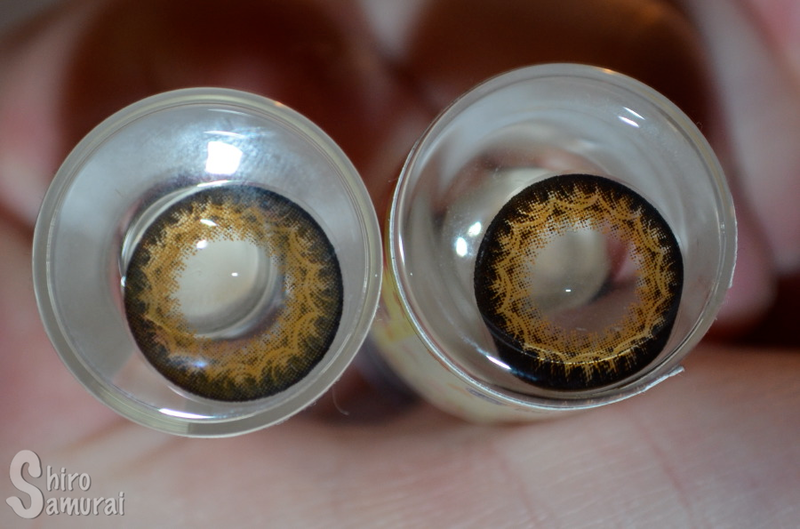 Below are some photos of the lenses being worn in different lights. All photos are taken around 12:00 during a cloudy day. Colors are unedited to show how the lenses really look. 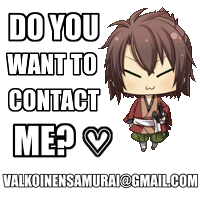 All photos in this post are taken by me, Shiro Samurai, as always. In my apartment, under the lamp. Facing the window in the corridor. I think these lenses are surprisingly nice when worn! Although they look almost orange-toned when not worn they take on a soft brown when on my eyes. 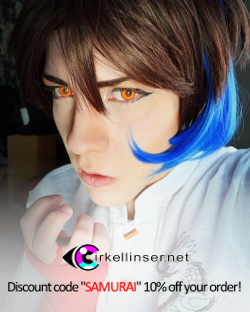 These lenses are quite big and they also have a rather wide pupil hole, which makes it so that my real eye color shows through in the middle and blends in a bit with the brown lens – the effect it gives is very nice! It doesn't do the most natural blending ever but it still looks cool. Oh, and regarding the design of the lens it mostly shows when you are fairly close. Otherwise, from a distance, it just looks like some funky brown with some interesting pattern going on that you can't exactly pinpoint what it is, haha. Following photos are taken outdoors, around the same time as the previous batch. Facing the light but the sun was under the clouds. Facing the light when the sun is peeking out. Facing a corner of the building, back against light. Regarding comfort I can say that the first time I wore these I had them on for about 6 hours. I started feeling them in my eyes slightly after the 4-hour mark and by 6 hours I just wanted to take them off, although I could have worn them longer if needed. Then again, I was on the computer most of the time I wore these, so that might have added to the feeling of the lenses drying. Lastly I have a photo of me wearing the Georgiae ML3 Brown from a distance! Nice medium brown shade. Reminds me a bit of toffee or something, haha. 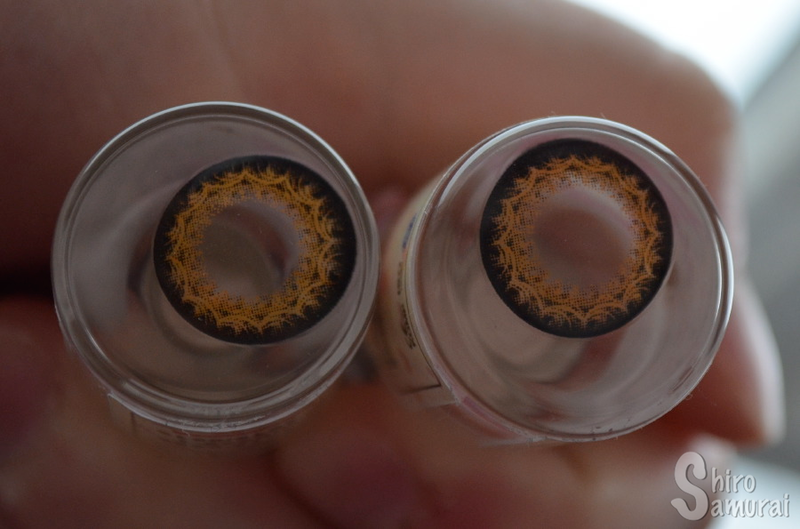 I must admit that these lenses have a rather gorgeous patterning! Not super opaque but they clearly make my eyes appear brown. Comfort is okay. The left lens felt thick in my eye and interfered when I blinked, but otherwise I could wear these lenses for about 6 hours before I felt like I really wanted to take them off. The obvious limbal ring and the size won't make anyone think it's your real eyes. 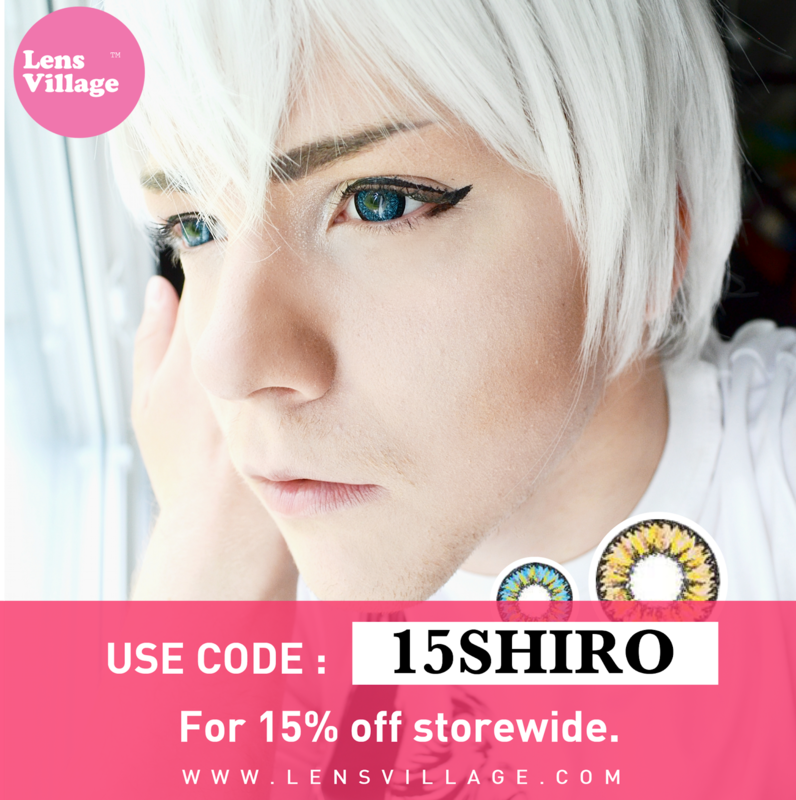 Remember my discount code "10SHIRO" if you plan to buy lenses from LensVillage! It gives you 10% OFF on your whole order! I have a similar pair but the pattern on these is so awesome! Thanks for the review! !